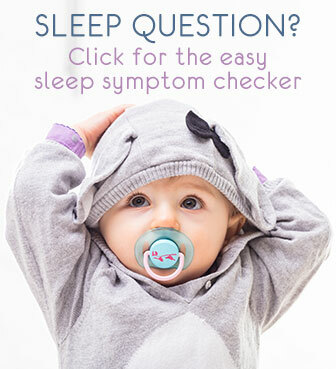 Why Is Sleep Important for Your Baby? Why is sleep important? Because it makes you happy, healthy and smart. That's how I answered my son's question the other day. And it's true, the benefits are basic and felt in our everyday lives, from newborn through adulthood. It's no secret how important it is is for babies. And if she is well rested, you benefit too: you get more rest, which makes you feel better and keeps you healthy. And that in turn has an important positive effect on your child(ren). Hard work is done in a newborn's brain, and proper brain development requires enough and good quality sleep. When sleeping, a baby dreams most of the time. Researchers found that dreaming stimulates baby's brain and so assists in its healthy development. The first half year is crucial for developing good sleeping skills. It's in these early months that baby's sleep patterns mature most quickly and the stage is set for the years to come. Good sleep as a child also decreases the chance for general health problems and emotional difficulties like depression and anxiety. 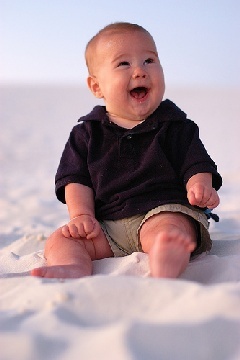 A child who is not overtired, will settle much easier and have better nights as well. Does that mean your child is doomed to be unhealthy and unhappy? No, of course not. What we as parents call "not sleeping well" is often just fine for an infant. She may not be taking any naps at all or may not be sleeping through the night at 6 or at 18 months. But that can still be just fine for her and give her enough good quality rest. What is important is that we give her the right support to go through that all important development in the first half year. How? By guiding in a loving and determined way. Loving means with enough attention for her needs and natural patterns. And without forcing her unnaturally (like overfeeding or certain medical sleep aids). That gives your baby the safe and consistent environment to develop her sleeping at best. The common problems and sleeping through the night pages offer ideas and tools to get started. Besides being tired and sleepy, the first effect of sleep deprivation is nearly always emotional: we feel down, low on energy and without much confidence in what we do. It's good to realize this and to think about it when you feel depressed after many broken nights with your baby. It's only the lack of sufficient rest doing this - it's not you not being strong enough or not trying hard enough. Help yourself by catching up on rest as much as you can. A quick nap, an early night or even an hour or so between the last day and first night feed can work wonders. You may find a couple of simple relaxation techniques helpful too. Also, do not hesitate to ask your partner, family or friends to help you from time to time, for example with babysitting while you nap. If you would like support you can also contact me, I'm always happy to advise. 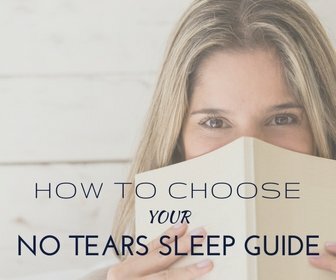 The answer to the Why Is Sleep Important? question is in all of the above. The best tip I can give is to keep the importance in the back of your mind, but do not over-emphasize. Simple as it may seem, keeping a relaxed attitude will help both you and your little one get more rest. Sleep and physical growth in infants during the first 6 months Tikotzky L, De Marcas G, Har-Toov J. et al. - Journal of Sleep Research, 2009. doi: 10.1111/j.1365-2869.2009.00772.x.